Eni Foundation was established at the end of 2006 with the purpose of increasing and improving the capability of Eni to coherently and effectively answer the expectations of civil society. Eni Foundation works on the main problems tied to the protection of the fundamental rights of people, with particular attention given to health in the maternal-infant sector. In line with the Eni values heritage, Eni Foundation’s mission is aimed at “promoting the protection of children’s rights through the creation of social solidarity initiatives that favour total wellbeing and development”. Eni Foundation is currently giving its organisational, ideational and financial support to two countries: Mozambique and Ghana. 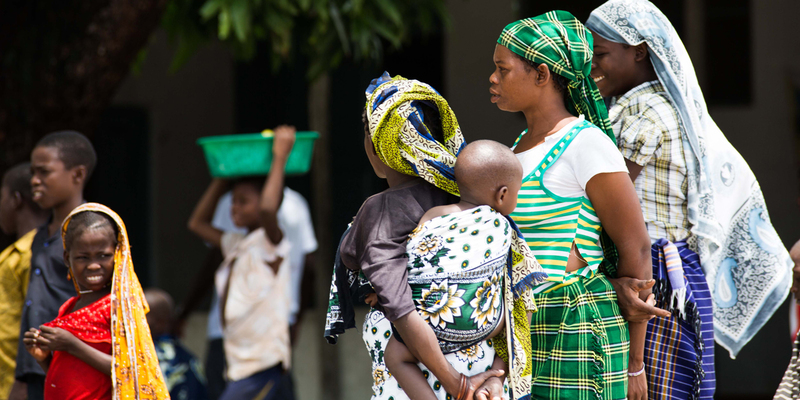 In Mozambique, initiatives for improving the obstetric and neonatal emergency services in the district of Palma are being put into effect, alongside the work of the local Health Authorities, to reduce neonatal, infant and maternal mortality by increasing the quality of and accessibility to the infant-maternity medical services. A first phase of activity successfully ended in December 2014, during which professional training programs for the health and technical staff were held, and a surgery block and “casa de espera” – a residence for pregnant women at risk as they wait to give birth – were built, both of which have already been inaugurated and are operative. In addition, essential equipment (radiology, CAT scans and laboratory) was supplied, which is also being used. In 2014, 11 continued training courses were organised, with a total of 174 health operators being trained; the aim was to extend the improvements from the peripheral Health Centres to the whole district. Those who benefit directly from the initiative in the district of Palma are women of fertile age (around 14,500), children from 0-4 (around 9,500 of which 3,000 newly born/year) and children aged 5-14 (around 14,000), while those who benefit indirectly, in addition to the health staff involved in the training, are the inhabitants of the district of Palma (60,000 people). Eni Foundation finances the initiatives and is responsible for their management. The local counterparts, in addition to the Cabinet of the First Lady of Mozambique, are the Mozambique Ministry of Health, and the Provincial and District Health Management of Cabo Delgado and Palma. Additional activities are being programmed in 2015, in the framework of new agreement initiatives with the Mozambique Ministry of Health, in particular: reinforcing the maternal-infant services of the Palma Health Centre, which guarantees the presence of health staff for on-the-job training, health assistance, health surveillance and supervision at the peripheral district centres; reinforcing the centre infrastructure, with the creation of a new area for post-surgery convalescence; requalifying two district health centres; promoting health in the rural communities in the district, for the benefit of children, mothers, and families, by offering information, communication and education on themes regarding the prevention of infectious and transmittable diseases, health and food education, and the intelligent and continued use of basic health care. 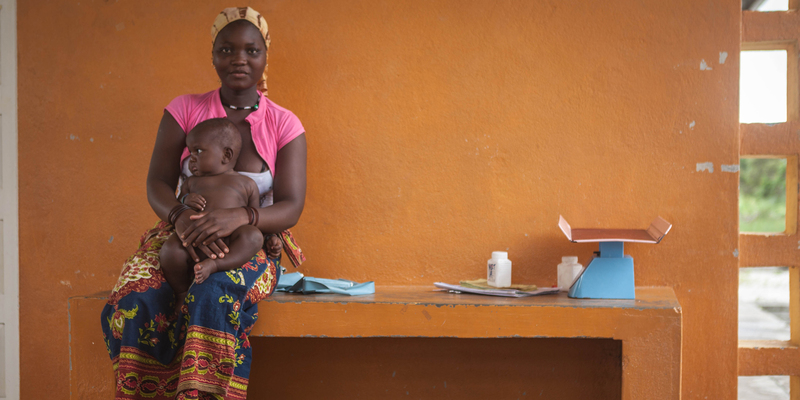 In Ghana, a project for strengthening the primary infant and maternal medical services has been running since 2013 in three coastal districts in the Western Region (Jomoro, Ellembele, Ahanta West). In line with the strategies of the local Health Ministry, the initiative is aimed at supporting the Health Authorities in order to reach the Millennium Development Objectives of the United Nations, in particular a reduction in maternal-infant mortality. The project indicates interventions to strengthen the maternal-infant service system in the 3 target districts, such as improving the offer and management of prevention, assistance and emergency services, in addition to promoting knowledge and awareness of the best hygiene-health practices and favouring correct behaviour. Around 350,000 people live in the area, which is mainly rural and isolated; more than 80,000 of these people are children from 0 to 10 years of age, and about 70,000 are women of fertile age. The activities are aimed at strengthening the health offer and improving the population’s consciousness in order to promote greater awareness and responsibility on maternal-infant health matters. Eni Foundation financed the project, is responsible for its management, and collaborated with 3 important local institutes: the Ghana Ministry of Health, the Ghana Health Service and the Christian Health Association of Ghana (CHAG). In 2014, in addition to regional seminars for programming continued training activities and preventing the occupational risks of the health staff, activities were concentrated in the less serviced areas, where two community health posts were built and equipped, with just as many being launched and currently being completed. A new prenatal medicine hospital ward was built and is working to face the strong demand (around 100 visits every day). A vehicle was supplied for mobile clinic activities and 140 Information, communication and education sessions for health were held in rural villages and in 18 Primary and Secondary schools. Eni Foundation, from 2007 to 2013 and in the most destitute realities of Sub-Saharan Africa, for example Congo and Angola, built 32 primary health centres, issued 940 doses of vaccine, carried out 680 thousand laboratory analyses and 820 thousand diagnoses and therapies for children and mothers, guaranteed by more than 30 thousand safe births, 60 thousand prenatal consultancies and HIV screenings, and trained 3,200 local health operators.